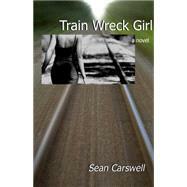 "Sean Carswell is a wonderful storyteller. . . . Reading his stuff makes you laugh and makes you think. "-Howard Zinn "[Carswell's writing is] the antidote to what is so boring or safe or wrong with modern book publishing. "-Joe Meno, author of Hairstyles of the Damned Train Wreck Girl is the funny and tragic story of one man's quest to figure out what to do with his life now that it's too late for him to die young. After finding his girlfriend dead on the railroad tracks right after breaking up with her, Danny McGregor-Flagstaff bartender and surfer without an ocean-rides the next bus out of Arizona, fleeing to his Cocoa Beach, Florida, hometown, where a maelstrom of past ghosts await. Back in Florida, his treacherous friend, Bart, finds Danny a job picking up corpses. Sophie, a former crazy girlfriend who stabbed Danny, wants to rekindle their relationship. Taylor, a twelve-year-old neighborhood girl, only wants Danny to teach her to surf. And then there's Helen, with a face that launched a dozen Greyhounds. Through the chaos, Danny discovers his strengths amid all his weaknesses and is able to move forward while making peace with his past. Sean Carswell is a former carpenter, housepainter, dishwasher, and warehouse clerk. His fiction has appeared in dozens of literary journals. He has been a staff writer for Flipside, Clamor, and Ink 19, and is a regular contributor to Razorcake. A co-founder of Gorsky Press, he is currently a professor at the University of California.